Welcome to the inaugural SGVN all-encompassing girls volleyball top ten poll. For the first time, we’re ranking teams from the Whittier Daily News, Pasadena Star-News and San Gabriel Valley Tribune coverage areas to create a more prestigious and tougher-to-crack, girls volleyball top ten poll from our core readership at SGVN. With social media bringing us all closer together, we thought we’d share coverage beyond print boundaries to give you a more comprehensive feel of the San Gabriel Valley and Whittier. Keith Lair will update his rankings each week on the blogs, websites and newspapers. 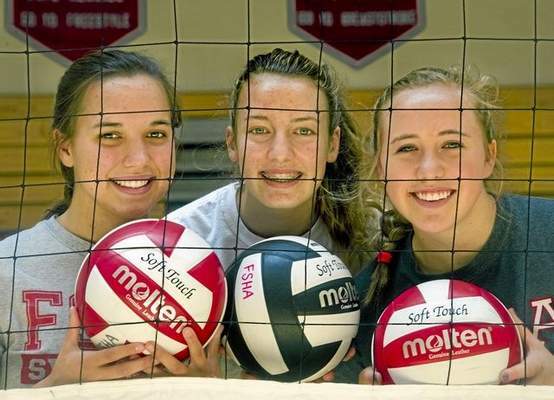 It will be difficult for San Gabriel Valley and Whittier volleyball teams to top 2013. Whittier Christian for the 2A title. Flintridge Sacred Heart and St. Paul both went to the semifinals, the Tologs losing to eventual champion La Salle. Two other teams made it to the quarterfinals. This season, however, could be just as successful. There are a lot of returning starters for the area’s top teams, but there are challenges: four of the teams in the Top 10 move up a division. The Tologs return five players who contributed heavily to the team’s CIF-SS semifinal run last year. But coach Ernest Banaag still has questions. “We are a lot younger that last year,” he said. “We do have a lot of experience and core knowledge. The Tologs graduated six seniors from a team that went 26-5 and lost to eventual division champion La Salle in four tough games in the semis. They return four seniors, four juniors and two sophomores who all played. Two freshmen will play this season. “They have a lot of club experience within their age group, but they are 14-year olds now competing against 18-year olds,” Banag said. We want your high school results posted in the Whittier Daily News, San Gabriel Valley Tribune and Pasadena Star-News and there are a few ways to do it. You can email results to sports@sgvn.com, but need to make sure you leave the final score for both teams, leaders for both teams, records and any information that would help us write a short brief of of the game. And always leave a contact number in case we have questions. You can also phone in results Monday through Friday from 5:30 to 9 p.m., to 626-544-0992 or 626-592-0991. Also, it would be really helpful if you used our twitter account, @sgvnscores, to share scores and highlights of the game so we can share it with our followers. The more you can do to help, the more we can do to highlight your team and its players. The game: In this year’s Tribskin Pick’em, Aram will I will do it a little differently. We’ll pick all games from the SGVN coverage areas of the Tribune, Whittier Daily News and Pasadena Star-News for an all-encompassing, all-out bragging right for 2014, since nobody ever pays the dinner bet. I won last year, ending Aram’s two-year win streak. WEEK 0: Lot of great games to choose from Thursday through Saturday to start the season. Northview coach Marcel Perez was extremely confident in a conversation this summer, so I’m taking the Vikings on Thursday along with La Puente. On Friday, the tide has turned and it’s no longer an upset to take San Dimas over Monrovia, which I’m doing with confidence. 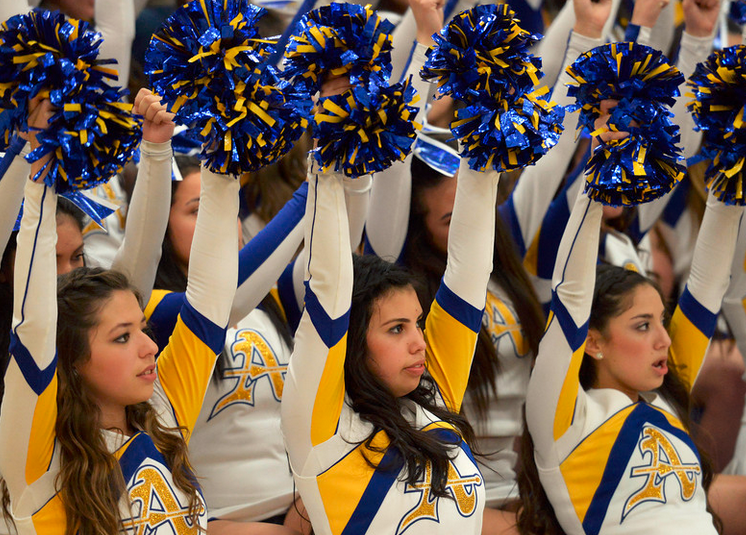 Bishop Amat will turn some heads in Orange County with a victory over Santa Margarita and Charter Oak will get knocked off by some team from Nevada. Diamond Bar will get a win at Montebello for its new coach and Wilson will do the same for Greg Gano. I like Arroyo, but like San Marino better (drinking the Steve Ramirez Kool-aid). Same goes with Muir, good team but Salesian probably better. On Saturday night, South Hills is at least a three-touchdown favorite over Covina. So there you go, we’ll come back next week and find out who we did. But go ahead, make your own picks and lets play. Aram is on vacation today and will make his predictions on Tuesday.